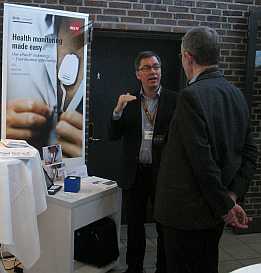 The conference was organised by the Danish Centre for Health Informatics and attracted more than 600 decision makers, practitioners, academics, vendors and politicians working with eHealth. REACTION partners IN-JET and DELTA exhibited on the two days, attracting a substantial amount of interest and obtaining many new contacts. Several sessions were arranged based on the overall theme: 'Citizen centric eHealth - fact or fiction' with focus on telemedicine, telemonitoring, patient empowerment, cross-sectoral healthcare and continuum of care. Partner IN-JET had a paper accepted for oral presentation in the session: 'eHealth for general practitioners and the spread of telehealth and welfare technologies'. The presentation, which also includes contributions from partners CHC, MUG, MSG and ALL, deals with the need for revised care models when using telemonitoring and provides methods and examples of how to do this. 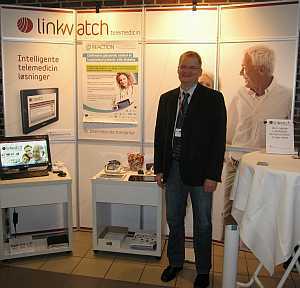 Visit the eHealth Observatory (in Danish).